Four pairs from Rotorua played at the Matamata Intermediate Tournament on Sunday, in good bridge playing weather, and had some success, all ending up in the top half of the field. 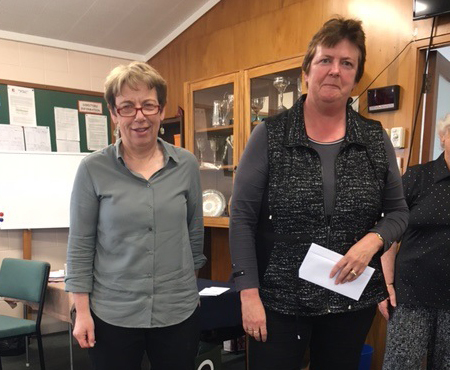 Joyce Reid and Cathy Ward (pictured) took out third place after a great morning and not so good afternoon, and Wendy Blackman and Elspeth Goodrick finished in eighth place. Rotorua players are also doing well in the individual Intermediate League, with one of the ten rounds still to play. Joyce is currently in 5th place, not far behind the 3rd equal pair and Wendy and Elspeth are 8th equal. It should make for an interesting final round in Cambridge later this month! 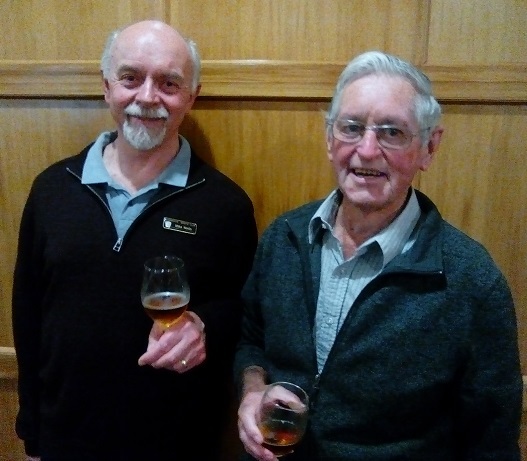 Congratulations John Kelly, who together with partner Michael Neels from Cambridge won the New Zealand Open Restricted Title 2016 at Congress last week. Here they are enjoying a well-earned drink! Other players from Rotorua also did well in the teams and seniors events.